A new subject (Fashion) has been added to the course catalog. 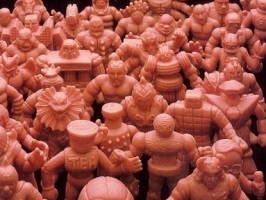 Fashion 100 – Collector created M.U.S.C.L.E. clothing is the first class offering. If you have additional t-shirts to add or pictures of people in M.U.S.C.L.E. t-shirts, then please email the University of M.U.S.C.L.E.. This entry was posted on Monday, October 26th, 2009 and is filed under Fashion, UofM News. You can follow any responses to this entry through RSS 2.0. You can skip to the end and leave a response. Pinging is currently not allowed.